After trying to buy a new tax disc for my S13 and realising the MOT on it had expired, I had very little time to get it taxed and tested before the renewal deadline. 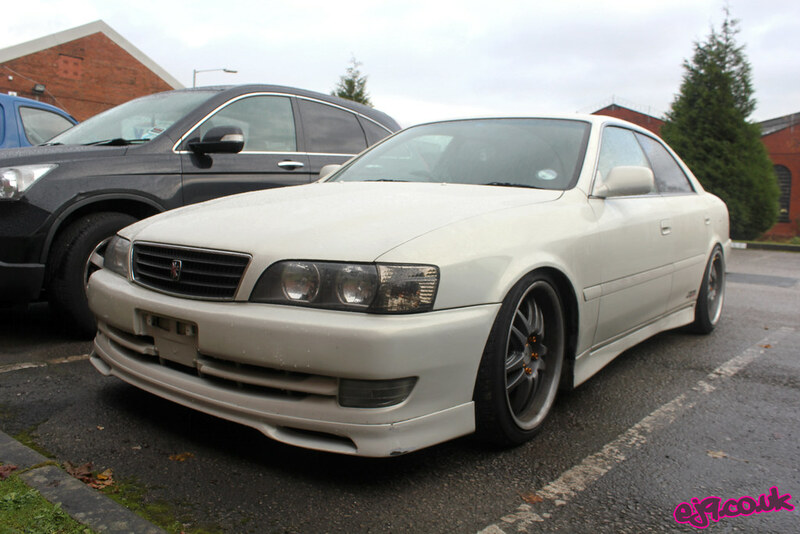 I didn’t really fancy taking it to the local Kwik Fit as they probably wouldn’t have a clue what it was, so after a quick call to JDM Garage North I made the relatively short journey to Bury to get the car MOT’d there. While I was there I thought I’d wander around and take a few pictures as there were a few well known cars lying around. 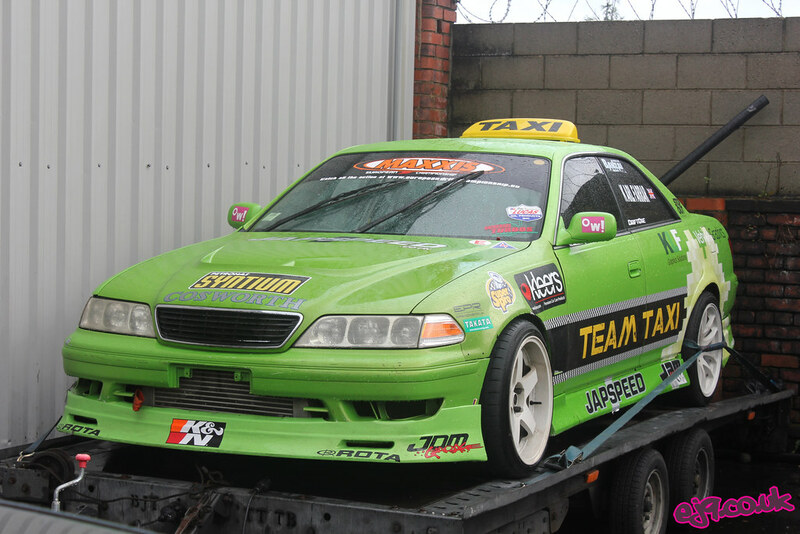 Above is Karl Farrar’s infamous JZX 100 Mark II Team Taxi, and below is his JZX 100 Chaser that used to be owned by Andy Faulkes. Believe it or not the car had actually been rear-ended when it was in Andy’s possession – Karl then bought it off him and repaired to a very high standard. 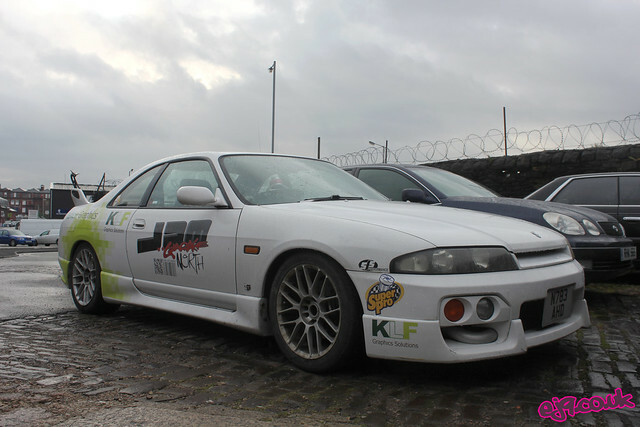 Nik’s R33 drift car was also parked outside – Nik is one of two guys who used to work at JDM Garage South in Devon before moving up to Manchester to work in the North branch. The Japspeed BGW was ripped off at the car’s last trip to Buxton, but thanks to way it was mounted using mounts with open ends, the wing simply fell off rather than shattering. Another guy who moved up from the South garage to work at the North location was Jamie, whose last S13 wasn’t so lucky when introduced to the Buxton wall and took a hefty smack to the rear quarter as a result. 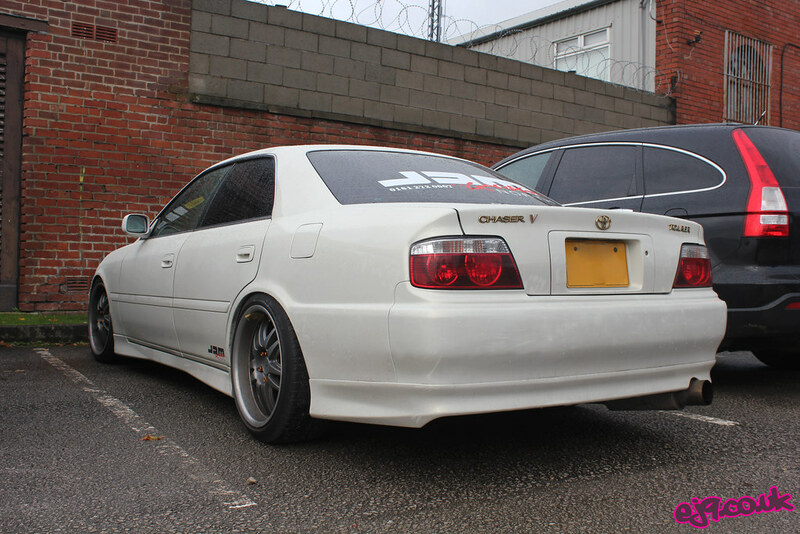 As part of a project with the garage this S13 (which incidentally was also crashed into the Buxton wall and sold off as a bare shell beforehand) was built up with an RB25DET under the bonnet in less than a week. Unfortunately a few parts have had to be removed since in order to save other cars! 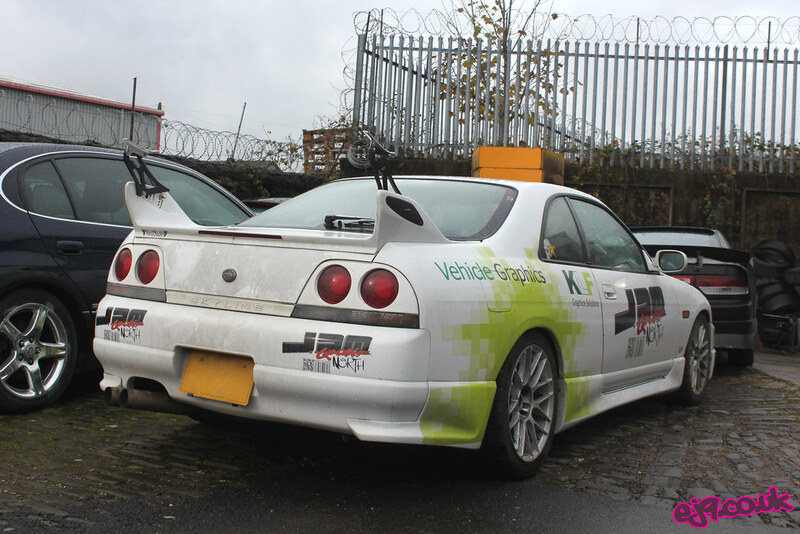 It’s no hidden fact that Karl is a big fan of four door R34 Skylines, and this was one of three parked up. I am led to believe this is eventually going to be BDC competitor Brad Wallbank’s next drift car, but we shall see. 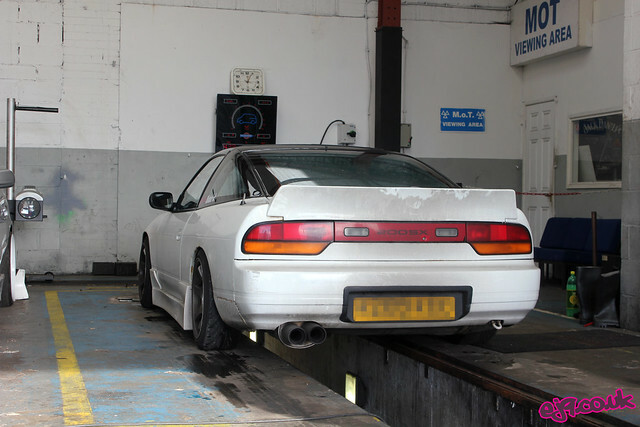 After a bit of wandering round it was time to get the S13 over the pit and get it MOT’d; there were a few things that need sorting out but it still passed. 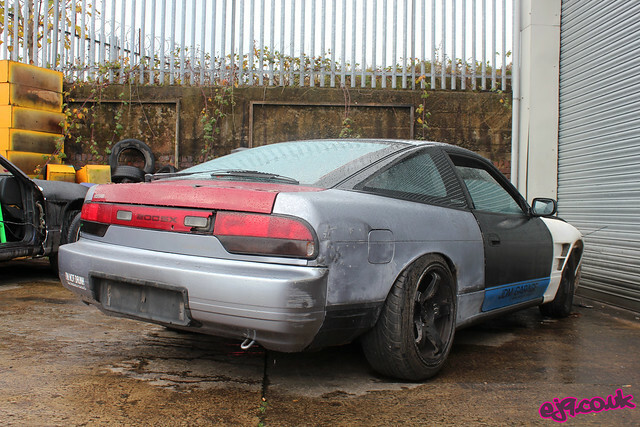 Unlike most UK S13s though, there weren’t any serious rust patches that need welding up, just a few bubbles on the rear arches – result!